John Mickett and the Wavechasers team successfully recovered the Cha-Ba mooring yesterday from Thompson on her first scientific cruise since the Z-drive failure. All went smoothly. Cha-ba took on a bit of water during her first winter deployment, and so will be brought home for refurbishing before redeployment on a rescheduled cruise - now April 22. 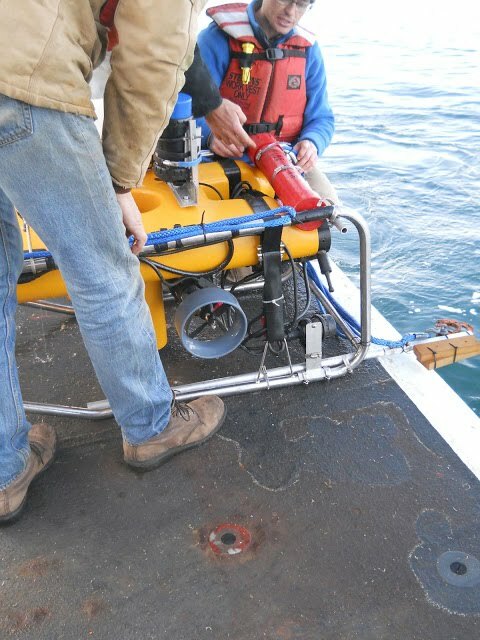 NEMO-subsurface was also successfully recovered, in a technical operation wherein a remotely operated vehicle (ROV) attached a lift line to the bottom of the mooring. This was necessary because the acoustic releases failed to unhook when commanded. Congratulations to all.